Las Vegas Airport (LAS) is amongst the ten busiest airports in the world, serving over 27 million passengers traveling to and from the vibrant city of Las Vegas in Nevada. Located two kilometers (one mile) south of the Las Vegas Strip, Las Vegas McCarran International Airport consists of two separate terminal complexes offering 85 boarding gates. Las Vegas McCarran International Airport has modern facilities, excellent air links, and nearby interstate highway and railroad connections. LAS features two terminal buildings, with Terminal One serving domestic passengers and Terminal Two serving three gates for international flight boarding. Terminal facilities at Las Vegas McCarran International Airport include restaurants, shops, gift stores, snack bars, restrooms, banking services, ATMs, post office, medical facilities and kids play area. LAS offers a range of pastimes for travelers including massage services, fitness center, gaming area, art gallery and aviation museum. Disabled travelers are also well catered for with telephones for the hearing impaired, wheelchairs, handicap accessible restrooms and visual paging. Parking facilities at Las Vegas McCarran International Airport includes short term, long term, oversized, valet, remote and terminal two parking. Ground transportation options available at Las Vegas McCarran International Airport include rental cars, taxis, shuttles and public transportation. 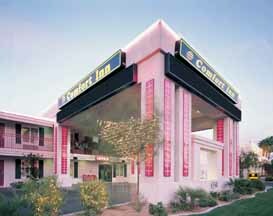 Las Vegas Airport World Airport Guide provides you with access to a complete selection of Las Vegas airport hotels. Utilize the discounts offered directly from the hotel, with the assurance of secure booking. 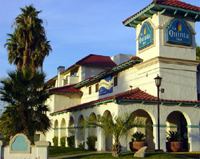 Extra services include airport car rental, airport car parking and flights to and from Las Vegas International airport. Please note: The term McCarran International Airport LAS as well as all associated graphics, logos, and/or other trademarks, tradenames or copyrights are the property of the Las Vegas Airport authority and are used herein for factual descriptive purposes only. We are in no way associated with or authorized by the Las Vegas Airport authority and neither that entity nor any of its affiliates have licensed or endorsed us.